Sound and Image has been a proud supplier of Yamaha products for many years now, and we have decided to celebrate this long lasting relationship by offering a mind blowing special on Yamaha Home Theatre systems. Firstly, we have taken the Yamaha 500 Series speakers. There's an organic feeling to the design of the Yamaha 500 Series, almost a sense of creation by nature. The rounded-corner design does away with sharp edges. Like a violin, the construction focuses totally on sound quality. Like a piano, the front baffle of the assembled unit is coated with in a lustrous glossy finish. To power this stunning speaker combination is the newly launched Yamaha RX-A830 Aventage receiver. The RX-A830 receiver is based on the audio design concept of providing a massive, full-bodied sound for movie sound effects and the accurate reproduction of music sources. By expertly harmonising traditional and advanced technologies, every factor that affects sound quality, from materials and parts to construction, layout, vibration damping (unique foot) and “fine-tuning” the sound, is handled with no other thought than to achieve the best possible audio quality. As a result, the Yamaha RX-A830 has the ability to reproduce the most subtle details of high-definition sound, so that listeners can enjoy a truly high-class sound studio experience at home. Normally selling at R41 620, we cut the price to R32 500. 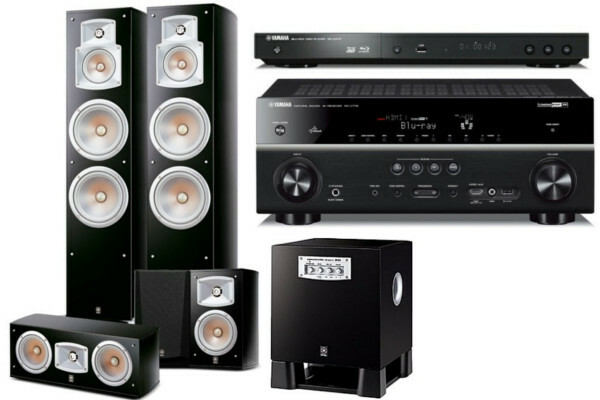 The Second system features the highly capable EF Series from Yamaha. The EF (Elliptical Form) series was designed with the prestigious Yamaha piano range in mind. The Piano Black finish is a 7-layer thick black lacquer which is the same glossy finish that is used on our grand pianos, which showcases the EF Series speaker design impeccably. We added the versatile Yamaha RX-V675 to the mix to truly make magic when it comes to home entertainment. With all Burr-Brown DAC’s and Yamaha Cinema DSP 3D processing the RX-V675 7.2 channel network AV receiver is poised for maximum audio performance. Additional convenient functions include MHL® (Mobile High-Definition Link), AirPlay® and music streaming services, all controllable through Yamaha’s free AV Controller App. Front panel connection and charging for your iPod®/iPhone®/iPad® is provided, as well as wireless capability via optional Wi-Fi or Bluetooth® accessories. App controllable independent powered Zone 2 for whole home audio enjoyment along with 4K video pass-through and up scaling from analog or HDMI sources. 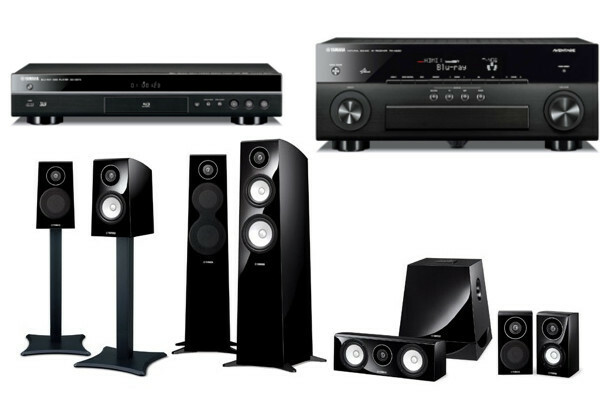 Visit your nearest Sound and Image branch for more info.